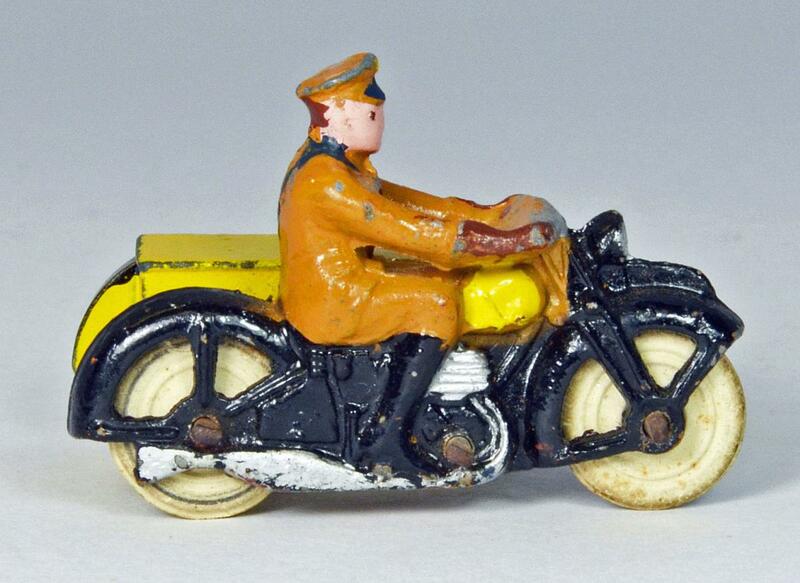 The 44b AA Motorcycle Patrol has an interesting history. 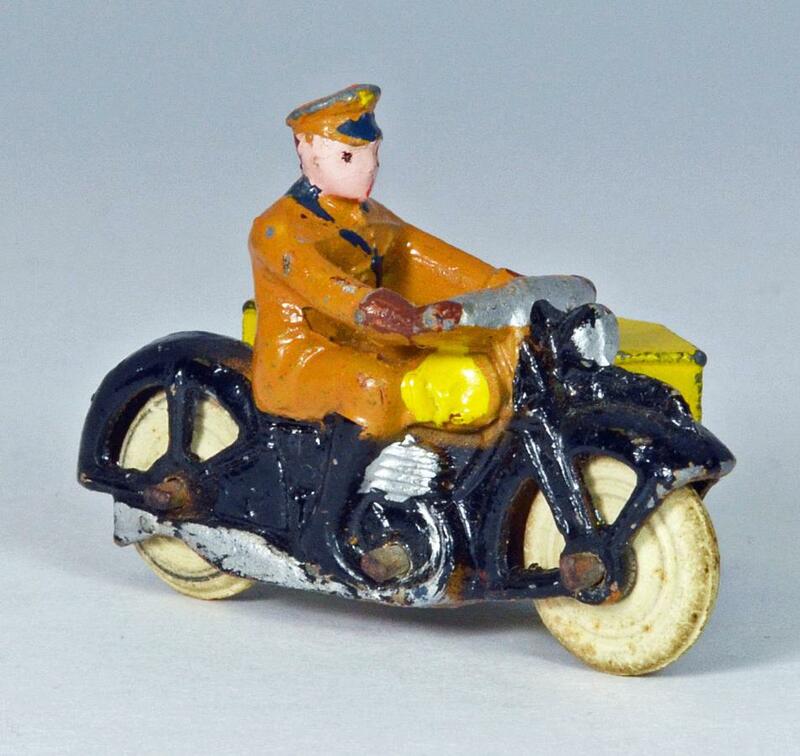 First introduced in 1935, as part of the #44 AA Hut, Motor Cycle Patrol and Guides set, the motorcycle, like the others, was discontinued around 1940, then re-introduced after the war once again. 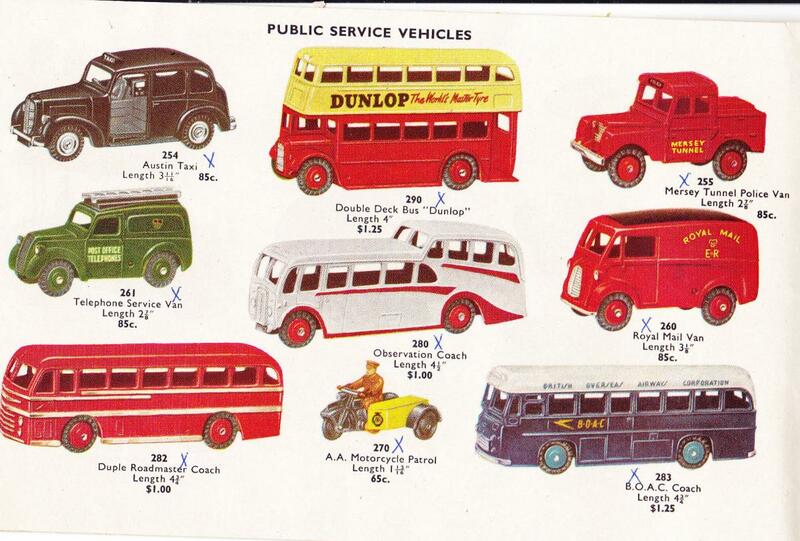 In 1954, in the US catalog, it has been re-numbered to 045, and also appears in the US 1955 catalog, then it is discontinued until 1959, when it reappears, now numbered 270. It then remains in production until 1962, when it is finally retired. 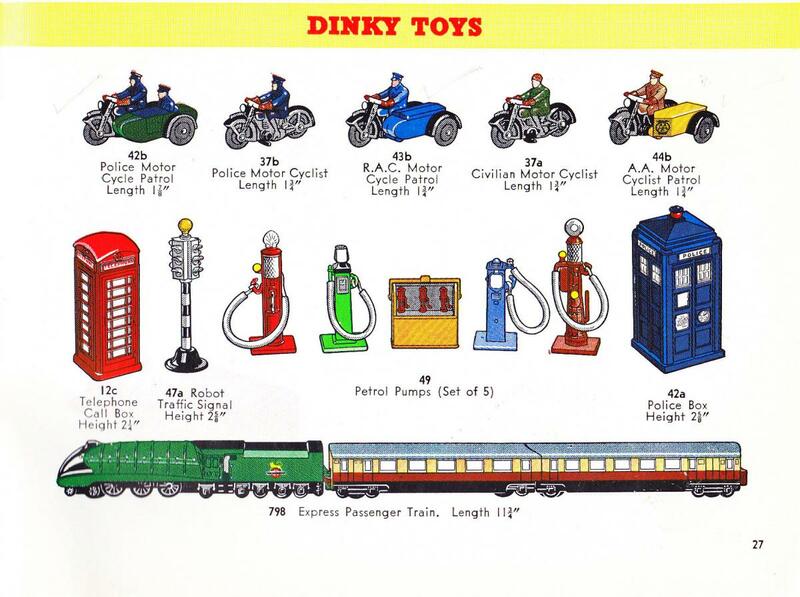 I have never heard of a Dinky Toy discontinued, then re-introduced a few year later.....has anyone else? For these last years of production, it was fitted with small grey, Dublo style tires, some smooth, some treaded. I do not have the later version, which has different tires, etc., so someone else is welcome to post photos of it. 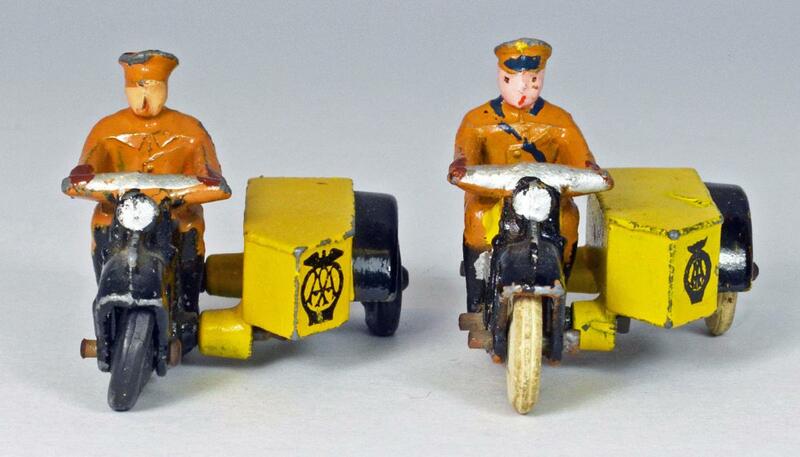 As with the Police Patrol and the RAC Patrol Motorcycles, there are the usual pre-war differences....white tires, extra hand painted details, and also a different size and style of AA sign or logo on the front of the side car. Some additions to your nice topic. 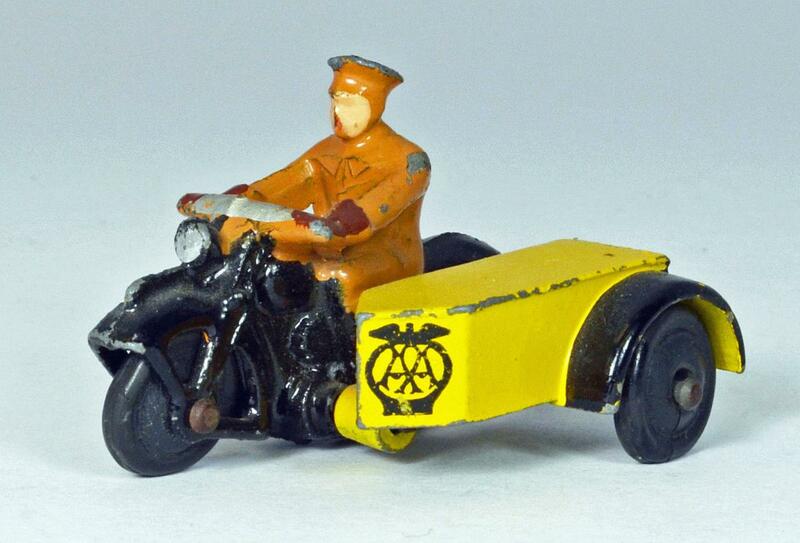 Assembly drawing of the Motor cycle and side car was made 11-9-1935 with Job no 7380. 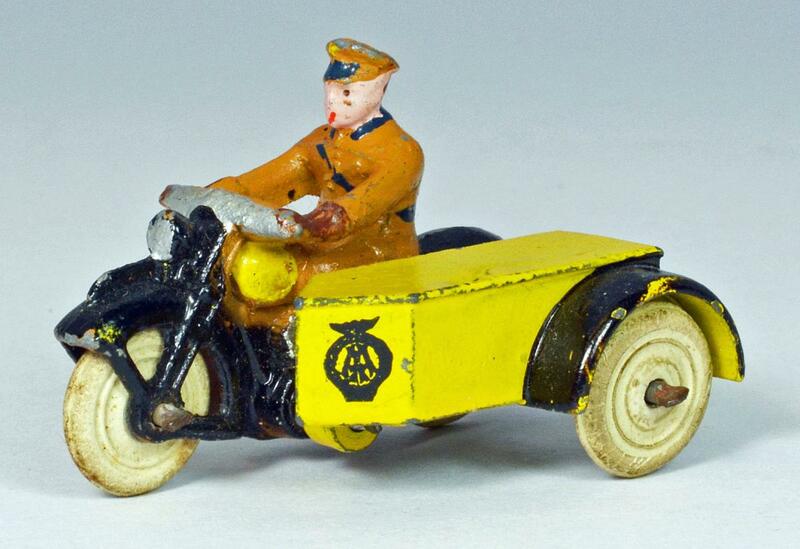 The dieline drawing for the side car was made 4-2-35 with Job no 7384. Both drawn on linen. The dieline drawing shows two changes on the boss for rear and front, first .281", last .363", dated 20-5-1936. So the distance between cycle and side car was enlarged. The assembly drawings shows changes for axles, wheels and printing block. 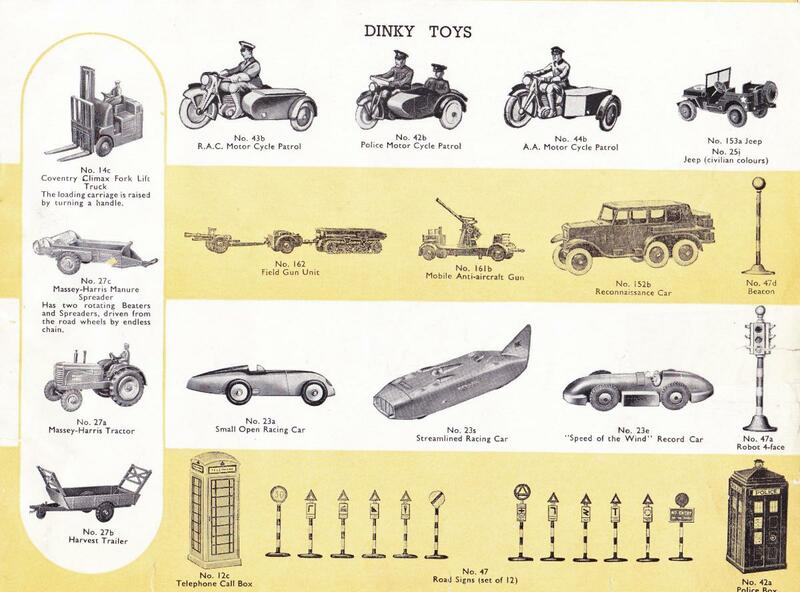 On 1-7-1939 the axles and spindle were changed. All other changes for post war production. See pictures. 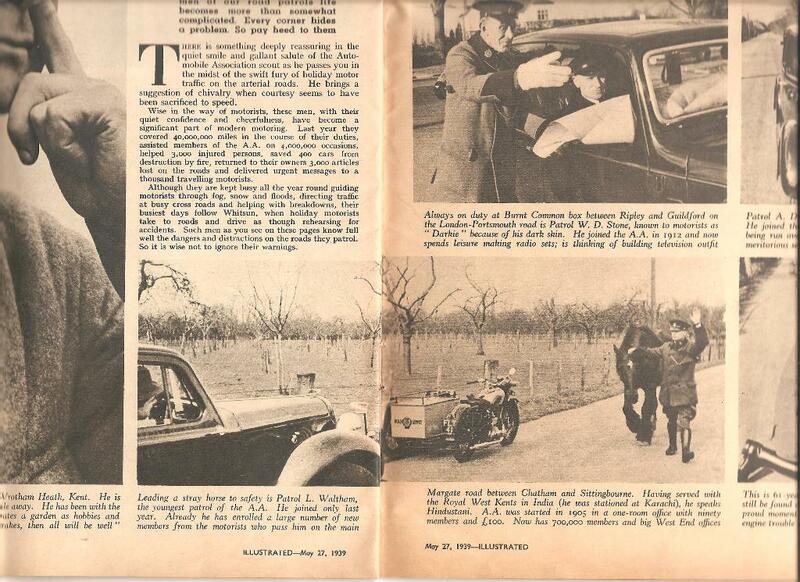 I have found an article in an english magazine called ILLUSTRATED, dated may 27,1939, and I think that it is funny to add a photo in this topic.